The Gowran Park card kicks off today with three big-field maiden hurdles, but all three are very difficult to predict and I'm finding it hard to price them up in my head - so I'm going to enjoy those races without a bet. I'll skip on to the Talbot Hotel Carlow Chase instead (2.20) which has just six runners, and the stand-out horse for me is Jessica Harrington's Jett, which is expected to go off around 2/1 behind Gordon Elliott's Tycoon Prince, which will should go off as favourite a tick or two shorter. Jett has often raced in Graded races - although I feel he's out of his depth in that company and made little impression in a Grade Three on his final race of the season at Killarney back in May, but he should be useful enough in a race like this. Tycoon Prince was second in a five-runner Grade Three at Naas a couple of weeks ago which is respected, but he also ran a few stinkers at the end of last season and I'm not sure I'd trust him to give me a run for my money. In the concluding Support The Irish Injured Jockeys Fund Handicap Chase (3.30), consider backing Just A Normal Day, which I'm also hoping to back at similar odds around 2/1 under Davy Russell. He comes here with a rating of 104 having finished second in a decent handicap at Cork earlier this month, and traded as low as 1/2 in-running on Betfair. That effort would suggest he's got more to come, making today's mark seem reasonably fair. A consistent sort, he'll surely be thereabouts again. 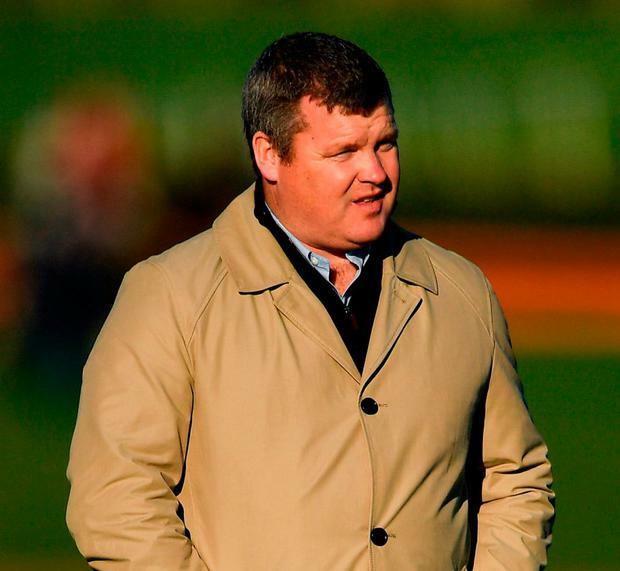 Tomorrow's Troytown Chase at Navan (2.30) is always a good puzzle to get stuck in to and having won it four years in a row, Gordon Elliott is going mob-handed again with his horses making up around half the field. Willie Mullins has strong claims too, however, with Minella Beau, which was going well before falling in the Cork National recently although I'm not keen on taking 13/2 about that horse in such an open-looking race. Ned Stark may be one of the less obvious Elliott runners in the field, but at 25/1 in the early markets yesterday, I'm going to take an each-way chance on the ten-year-old. Formerly trained by Alan King, the mount of Jonathan Moore looked in need of the run when given a spin over hurdles at Gowran in September last year following an 18-month break, and he's now been off for over a year. On that basis, it's very hard to know where he's at right now but a rating of 128 may give him a chance if Elliott has him fit and well, and it's worth remembering he is a Grade Two winner for King. Out Sam is probably Elliott's main hope having won the aforementioned Cork National, although he's up 8lb on that run which means he'll carry 11st today. At the time of writing, he trades at 7/1. Earlier on the same card, Elliott's Dinons is bound to attract support having won five races in a row but he's a little short for my liking in the Grade Three 'Monksfield' Novice Hurdle (1.0) and preference is for Noel Meade's First Approach, which has been chalked up at 6/1 in early markets. A useful one in bumpers, he got his hurdle career off to the best possible start when putting in a fine display of jumping to land a novice race at Down Royal recently. This is a fair step up in class but he looks the sort that has a bit of improvement to come. Finally, Queens Boulevard can send her backers home with smiles on their faces by taking the Listed Coolmore N.H Sires Irish EBF Mares' Bumper (3.30) at 3/1. She showed some useful form to win bumpers on her first two starts at Sligo and Listowel, and it seemed like something was amiss when she was pulled up in a Listed bumper at Gowran last month which was won by today's rival Yukon Lil.